Some couples are obviously meant to be together. 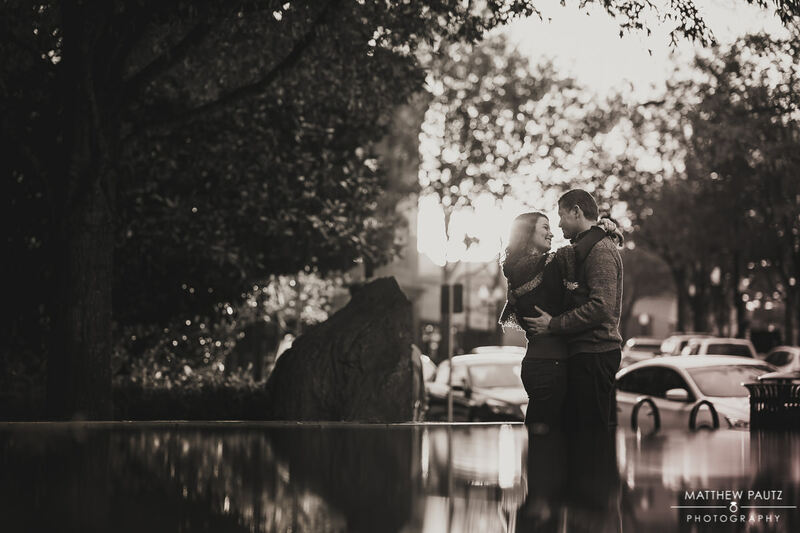 But some couples are so perfect for each other that you can tell within a few seconds of meeting them. Sarah and Mark are the living embodiment of this idea. 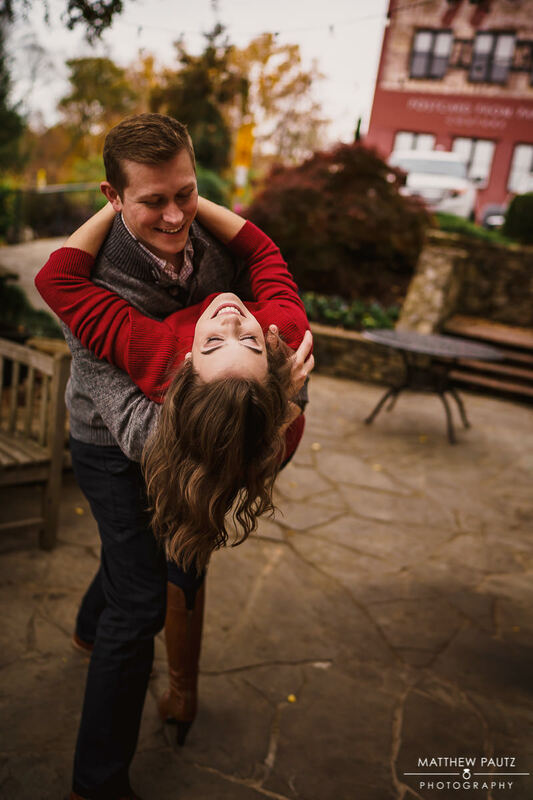 They are also living proof of what happens when two seriously goofy people meet and hit it off. Obviously I love it when this happens, because it makes my job easy. 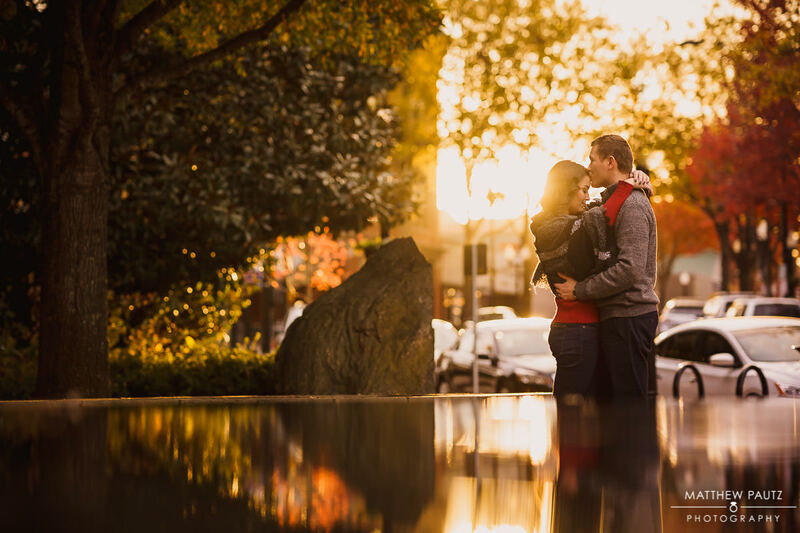 When it comes to engagement photos, I just have to send them off to go do something together, and they take care of the rest. Nothing is forced, nothing is awkward, everything is believable and natural. 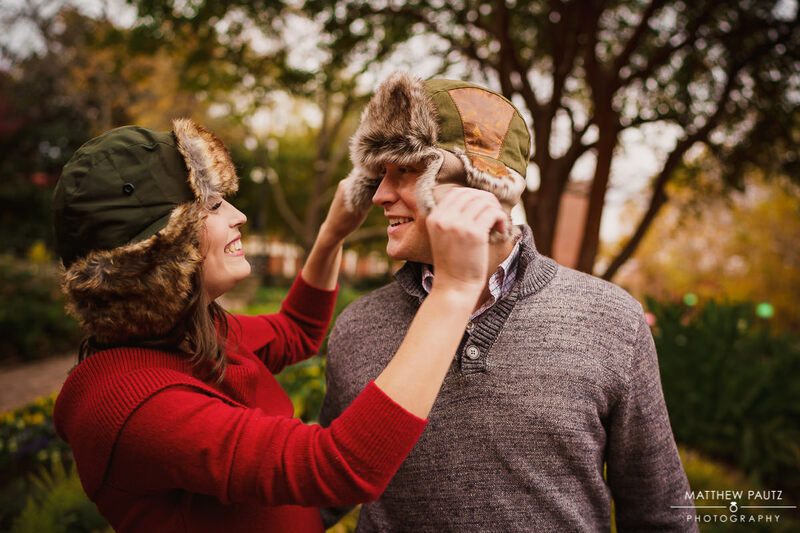 But as fun as Sarah and Mark are, messing up each other’s Russian Ushanka hats, we still wanted to add something slightly different to their engagement photos. 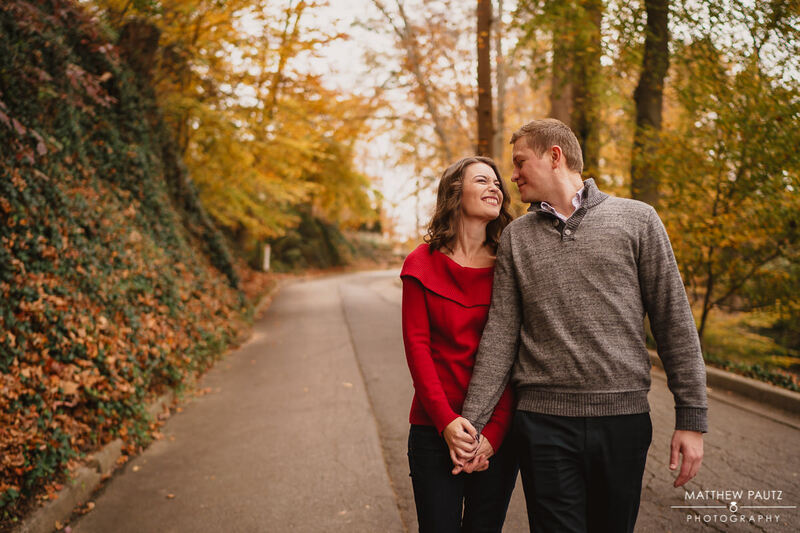 Especially since the majority of their photos were going to take place in Falls Park, one of the most popular locations for engagement photos in Greenville. Enter Spill the Beans – a longtime Greenville favorite for laid-back coffee, and the location for one of their earliest dates. 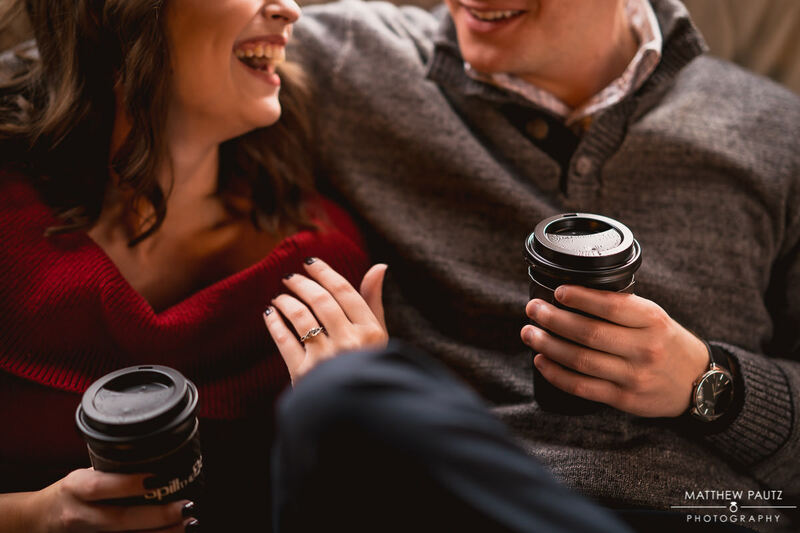 Spill the Beans isn’t big enough for a full engagement session by itself, so it was the perfect tie-in with the rest of their photos. And it gave them the perfect outlet for their goofiness. 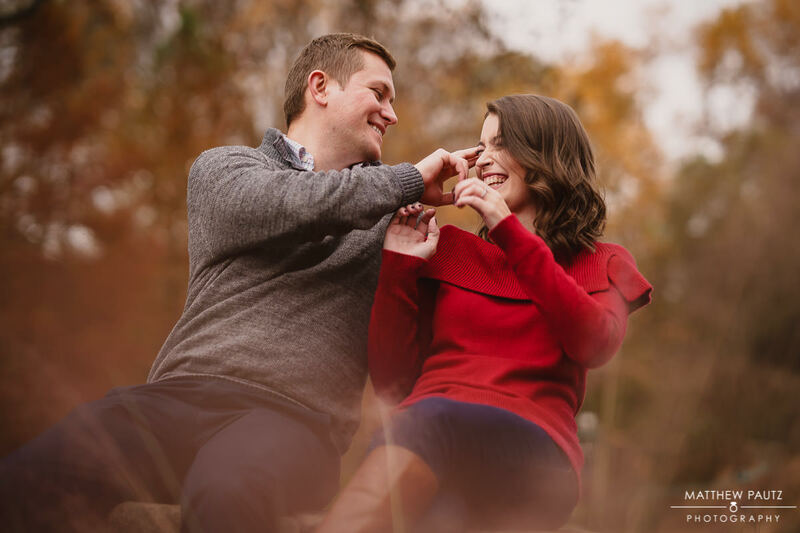 Check out some of my favorites below from Mark and Sarah’s Spill the Beans coffee shop and Falls Park engagement photos! See what I mean? 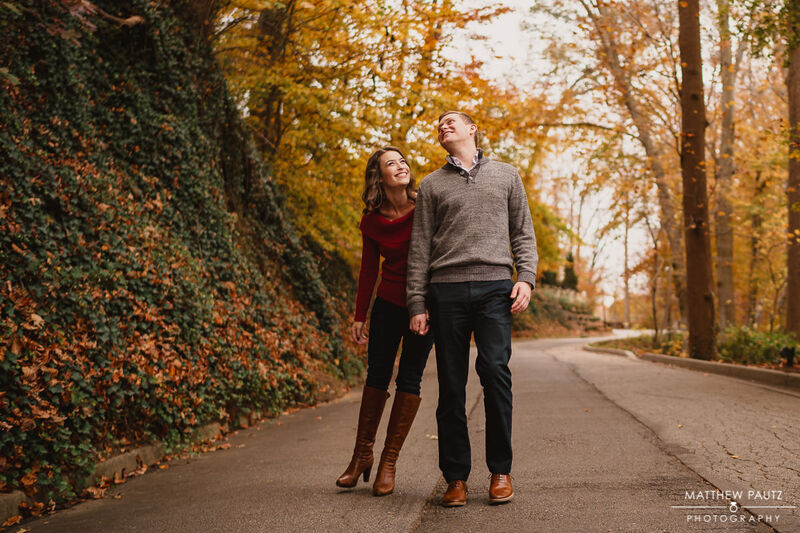 These two are an absolute blast to work with, and I am psyched for their wedding, coming up soon! Stay tuned…. 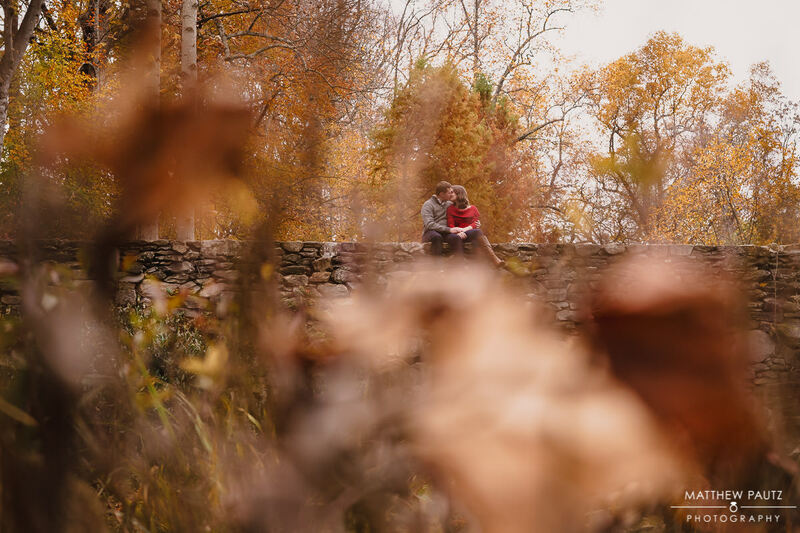 Want to see more photos at Falls Park? 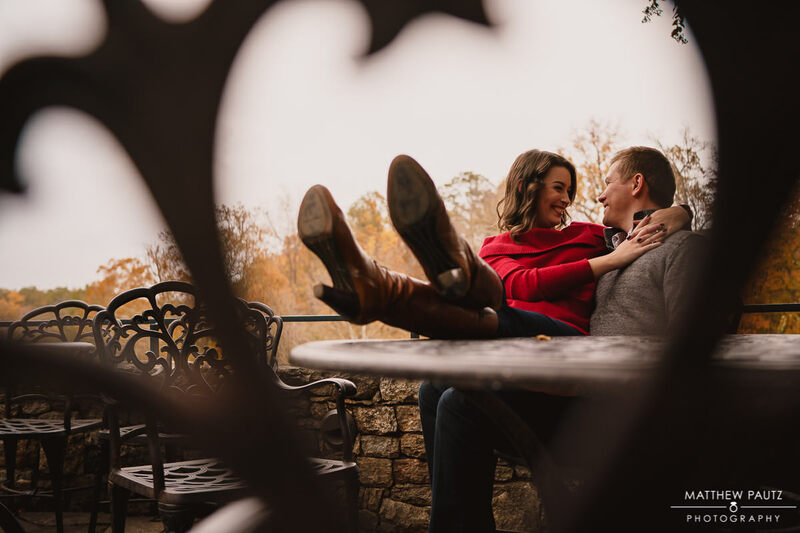 Check out some of my other Falls Park engagement sessions. And don’t forget to contact me if you are interested in having your very own!